I must admit I knew nothing about Bartmann jugs until yesterday. 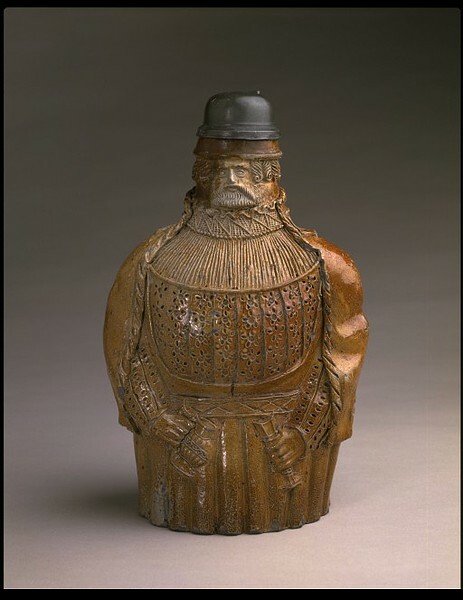 The Bartmann jugs or “bearded man” jugs were produced primarily during the 16th and 17th centuries in the Rhineland. Produced from salt-glazed earthenware they were often used to hold beer and wine. Common amongst the various styles are the bearded face which adorns the neck. German potters perfected earthenware by the mid-14th century. In the 15th century it was discovered that salt thrown into the kiln would produce a tight glaze with an orange peel character. Cologne originally produced large numbers of jugs but city official became concerned about the fumes and fire risks. 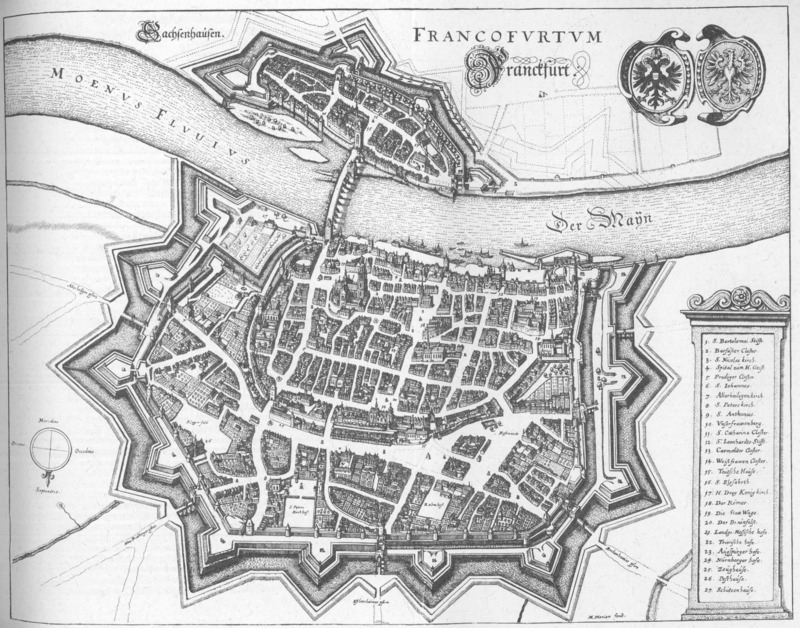 With increased restrictions and taxes in the mid 16th century many potters left for the nearby town of Frechen. These rugged jugs were used for both daily use, storage, and transportation. 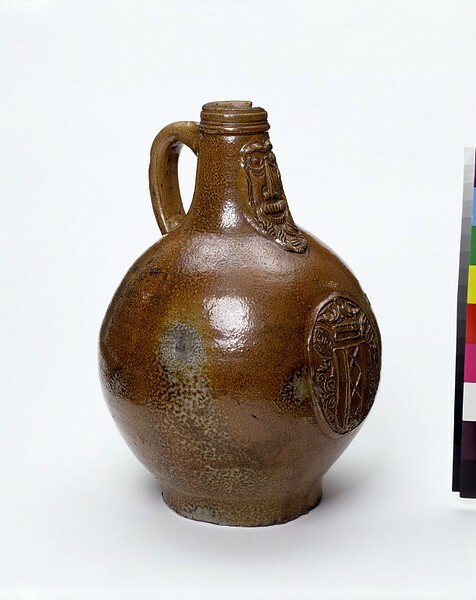 The Dutch East India company bought these jugs both for transporting goods but also to sell. 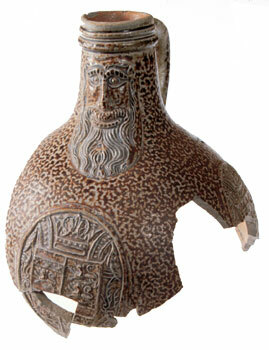 These Bartmann jugs have been found all over the world including Jamestowne, Virginia. This piece is unique in that it bears the arms of a Tuscan family. With English potters unable to produce earthenware of the same quality these jugs were imported large numbers for many centuries. The Cologne merchants established a trading post in London called the Steelyard. Between the 14th and 16th centuries most of the stoneware was sold through this post. By 1600 some 100,000 pieces a year were imported into London! By the end of trhe 17th century earthenware production had matured in England. 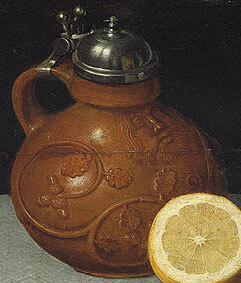 The Bartmann jugs painted by Georg Flegel contain oak leaves and acorns which are typical of pieces from Cologne. 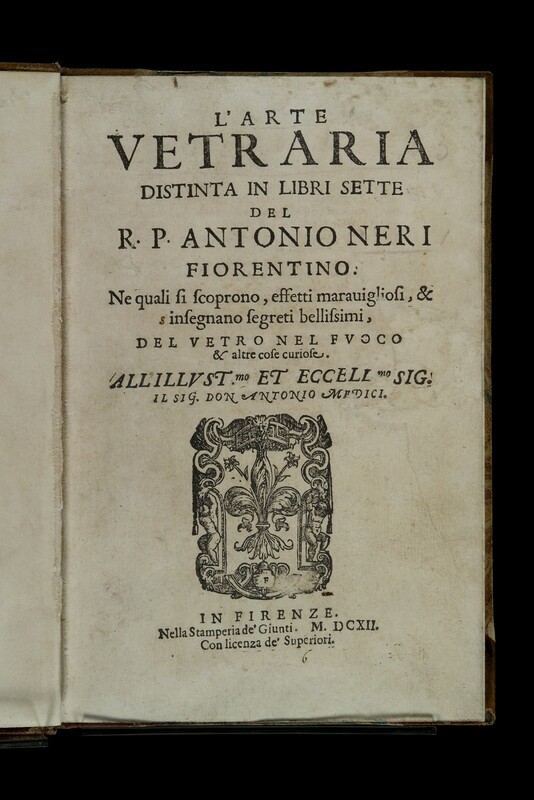 Professor David Gaimster, Director Hunterian Museum and Art Gallery, has dated this piece to 1520-1545. This is before the Cologne potters left for Frechen. For additional information on these pieces please refer to the Victoria and Albert Museum along with the Rhenish Ceramics Project. My series of posts about the 17th century Dutch history of wine illustrates the popularity of sweet German wine through images of Roemer and Berkemeyer wine glasses. 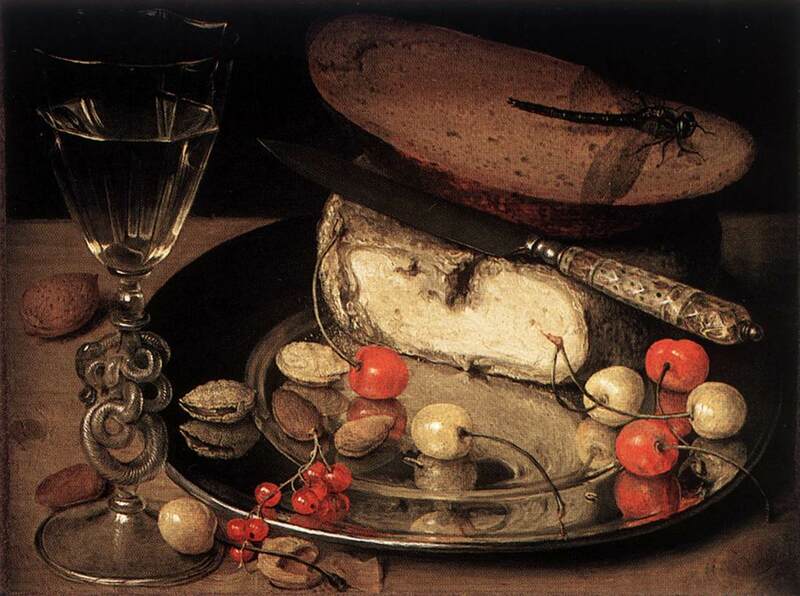 Assuming that Baroque paintings often included objects found in the painter’s everyday life I decided to look at the wine related still-lifes of German Baroque painters in comparison with my Dutch posts. This post contains an over of still-lifes painted by Georg Flegel. 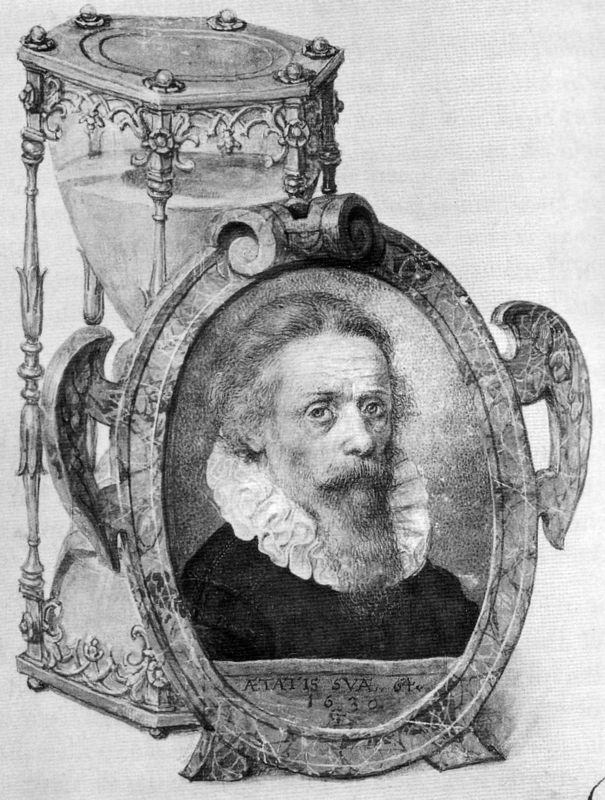 Georg Flegel (1566-1638) was born in Moravia, in 1580 he moved to Vienna before settling in Frankfurt in 1593. 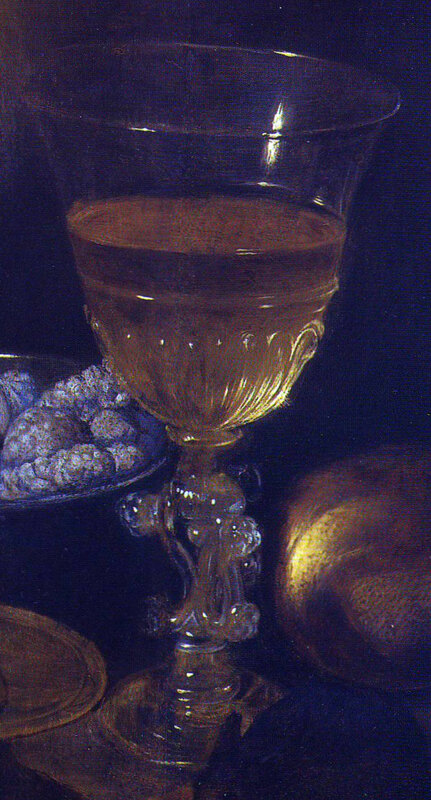 In the seven paintings included in this post there is a mixture of Roemer, Berkemeyer, and fluted wine glases. There Roemer and Berkemeyer are similar to Dutch images I have posted on. In this small sampling of images most filled glasses, including flutes, contains white wine except for a single instance in what appears to be a wine cup with a lid in Still-Life with Parrot. This covered glass contains a light red or rose wine. In The Dutch Wine Glasses of Pieter Claesz I found that his fluted wine glasses contained a light red or rose wine. The two glasses which I find particularly interesting were both painted in 1635. The tall Venetian flute in Still-Life with Cherries has complex stem like a coiled serpent. 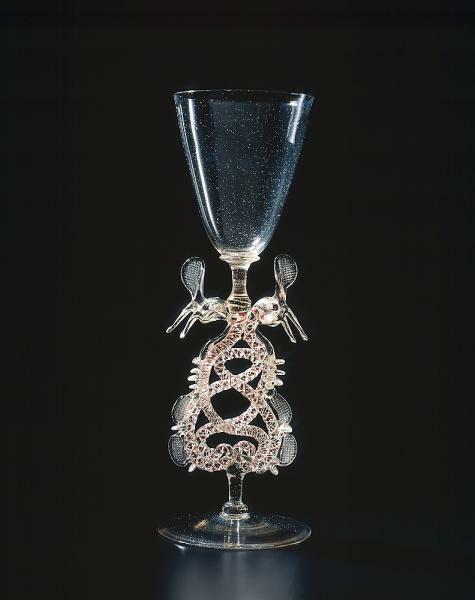 The wine glass in Still-Life with Stag Beetle has a two part stem containing a ribbed bulb supported by curly cues adorned with stamped prunts. 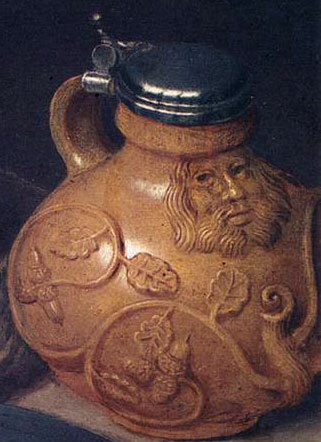 Amongst the various wine pitchers we find two images of a similar Bartmann jug with pewter lid bearing both oak leaves and acorns topped with the face of a bearded man. The Cupboard provides two fascinating objects, a wine decanter, perhaps exceedingly dark green with a long-neck, a base surrounded by glass roping, and a prunt bearing the portrait of a bearded man. In front of this decanter there is a wine-filled Roemer glass attached at its base to an elaborate, gold holder. In future posts I will attempt to compare these beautiful objects with other paintings and actual images. In the mean time, please enjoy these made pictures available from the Web Gallery of Art.